To create a link, select the text that you want as a link anchor by highlighting it with your mouse. 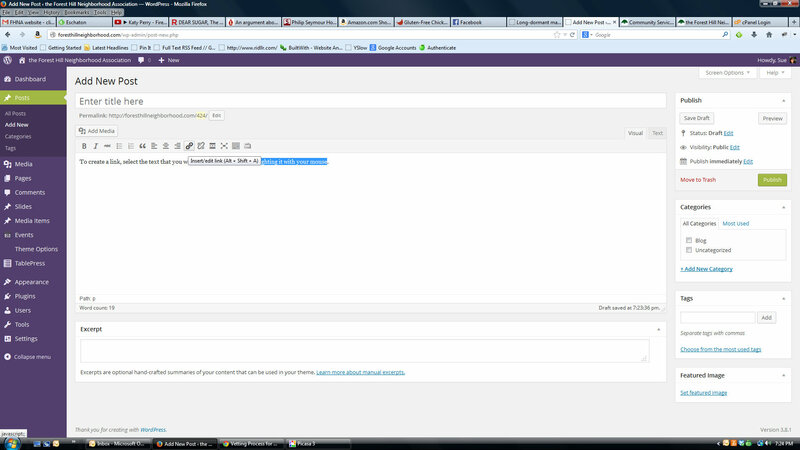 Enter the address of the web page you want to link to after the http://. For example, the proper URL formation of the FHNA website is: http://foresthillneighborhood.com. It is no longer necessary to use the www before the domain name in creating a hyperlink. 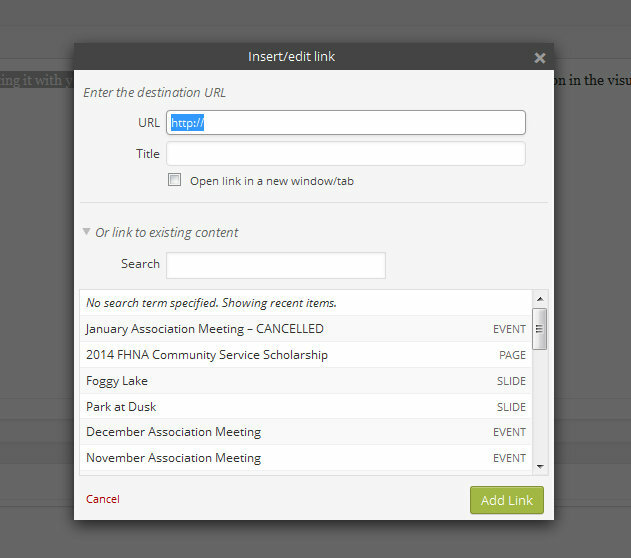 You do not need to enter anything into the Title field, and you can check the box to have the link open in a new window so that the FHNA site remains open in the background.